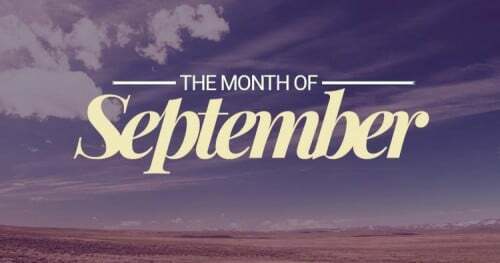 September is eventful one could say! Significant events and milestones were achieved that forever changed life as we know it. Let’s look at the 10 most important events that occurred in September. It was in the early hours of September 1, 1939 that World War II started. Hitler’s armies invaded Poland, marking the onset of one of the darkest moments in human history. On September 2, Napoleon the Third surrendered during the Battle of Sedan, essentially marking the fall of the 2nd French Empire. That took place in 1870. In 1993, Israel and the PLO ended years of negotiation by coming to an agreement of mutual recognition. The international community was hopeful this would accelerate the conflict resolution between the two countries. More than 10 years later the issue is still unresolved. September 11 is another dark day in the history of humanity as the biggest and worst terrorist attack on US ground takes place. About 3,000 were killed as an aftermath. In 1788, New York become the federal capital of the newly established American Government. Grace Kelly, Hollywood actress and Princess of Monaco, died in a horrid car accident in Monte Carlo. Her daughter, Stephanie, also in the car, survived with only bruises. Grace Kelly’s stunning film career ended prematurely, to the grief of millions of fans worldwide as well as her family. This took place on September 14, 1982. It’s been more than 100 years (September 16, 1908) since GM was founded by the entrepreneur William Crapo Durant in the state of Michigan. New Zealand allows women to vote. It’s the first country to do so and this takes place on September 19, 1893. The nation sets in motion a wave of new discourse that would gradually urge more countries to give women the right to vote. It’s September 26, 1960. The American people witness the first-ever presidential debate between candidates JFK and Richard Nixon. California is discovered by Portuguese navigator Juan Rodriguez Cabrillo on September 28, 1542 – when he drops anchor at the San Diego Bay. How are you going to use these historical facts?